Draft: 2004, New York Yankees, 1st rd. Philip Joseph Hughes...Twitter: @PJHughes45...2004 graduate from Foothill High School in Santa Ana, CA, where he owns the school record for most career wins (23) and ranks third in school history with 182 strikeouts...named the 2004 Most Valuable Player with a 9-1 record and a 0.69 ERA...was honored as a pre-season All-American prior to his junior year and set school single-season records with 12 wins and a 0.64 ERA that season...tossed a perfect game on April 8, 2004 in a 9-0 win over Laguna Hills...named to the Los Angeles Times' 2004 All-Star team...prior to being drafted, was named by Baseball America as the top right-handed pitcher in the Orange County region...was primarily a third baseman until his sophomore year of high school... received the 2010 Ben Epstein-Dan Castellano "Good Guy" Award from the New York chapter of the BBWAA...participated in Twins Winter Caravan in 2015. Made Twins Opening Day roster as club's number four starter...Went 4-3, 5.74 ERA (47.0 IP, 30 ER) with 10 home runs allowed before being placed on 10-day disabled list with right shoulder discomfort...Made three rehab appearances (3.0 IP) for Triple-A Rochester before being returned from rehab and reinstated from disabled list June 28...Pitched out of the bullpen upon return and made five appearances, allowing five runs on 12 hits in 6.2 innings pitched...Placed back on 60-day disabled list with thoracic outlet syndrome on July 18, ending his season. Made Twins Opening Day roster as club's number three starter...Earned first and only win of season April 18 vs. Milwaukee, allowing four runs (3 earned) on six hits in 6.0 innings pitched; fifth career complete game (rain shortened game)...Left start in the seventh inning with shoulder fatigue May 17 at Detroit...Suffered a fractured left femur after being hit with a line drive June 9 vs. Miami, off the bat of J.T. Realmuto; placed on 15-day disabled list June 10...Transferred to 60-day disabled list June 12...Was announced he was to undergo season-ending surgery on right shoulder, suffering from thoracic outlet syndrome. Made first career Opening Day start April 6 at Detroit, allowing four runs on eight hits in 6.0 innings pitched with one walk and six strikeouts and was issued the loss....Surpassed 1,000 career innings pitched April 12 at Chicago-AL....Pitched fourth career complete game and first of season April 24 at Seattle, allowing two runs in 8.0 innings with a season-high nine strikeouts, but was issued the loss....Earned first win of season May 4 vs. Oakland, allowing five runs on nine hits in 6.0 innings pitched, snapping a four-game losing streak...Recorded four-game winning streak May 4-27, tied for fourth longest streak of career....Recorded 900th career strikeout June 24 vs. Chicago-AL, fanning Jose Abreu in the sixth inning....Pitched 40.2 innings in June (6 starts), tied for seventh most in the AL and tied for ninth most in baseball....Won 10th game July 30 vs. Seattle, marking the fourth time in his career to reach double-digit victories and first time in consecutive seasons....Posted six-game win-streak June 19-July 30, tied for second longest of career and longest win-streak for a Twin since 2010.... Placed on 15-day disabled list August 14 with lower back inflammation; reinstated September 15 and made two starts and two relief appearances to end his season.... Set single-season career-high in home runs allowed (29), tied for most in the AL....Led baseball in fewest walks (16) among pitchers with a minimum of 150.0 innings pitched, his second straight season with fewer than 20 walks....Ranked best control in AL in Baseball America's annual tools survey. Began first season with Twins and made Twins debut April 3 at Chicago-AL, allowing four runs on seven hits in 5.0 innings pitched with one walk and seven strikeouts (ND)...Earned first victory as Twin April 20 at Kansas City, allowing three runs on nine hits in 6.0 innings pitched...Won six consecutive decisions April 20-June 1, posting an ERA of 1.99 (54.1 IP, 12 ER) in that span...Made return to New York-AL June 1, setting a season-high with 8.0 innings pitched, allowing two runs on three hits, earning the win...Walked Alcides Escobar on a full count in the second inning April 20 at Kansas City, his final walk before going 178 batters-faced without allowing a walk until Brian McCann's base on balls in the second inning June 1 at New York-AL...according to Elias Sports Bureau, it marked the second longest such streak in Twins history, trailing only Brad Radke's 191 consecutive in 2005...Posted a 1.62 ERA (33.1 IP, 6 ER) in five May starts, the second best ERA in baseball during the month...Posted a streak of 106 plate appearances between walks from June 1-June 22...Pitched first complete game of season and third of career June 17 at Boston, allowing two runs on eight hits but was dealt the loss...Pitched 41.2 innings in June, the fifth most in the AL for the month...most innings in one month for a Twin since Scott Baker tossed 44.0 in June of 2011...Earned 10th win July 13 at Colorado, marking the third time in his career with double-digit wins; second time in his career with double-digit wins prior to All-Star break; first was 2010 when he had 11 wins...Earned 15th win September 1 at Baltimore, allowing three runs (0 earned) on five hits in 8.0 innings pitched; joined Rick Porcello, Max Scherzer and Jered Weaver-each also with 15-for the most in the AL at the time...Set single-season career-high with 11 strikeouts September 13 at Chicago-AL; the first time since July 18, 2012 that a Twin struck out 10- plus in a game, when Francisco Liriano did it against Baltimore...pitched 7.0 innings in that start, setting a new single-season career-high in innings, giving him 194.2 at the time, passing his previous high of 191.1 in 2012 with New York-AL...Pitched 7.0-plus innings in each of final nine starts August 10-September 24...Surpassed 200.0 innings pitched September 19 vs. Cleveland; finished with 209.2 innings pitched, 10th most in AL...Became 25th different Twin to reach 200.0 innings and first since Carl Pavano (222.0) in 2011...His 16 walks were the fewest in club history for a 200.0-inning pitcher...Set MLB record for highest strikeout-to-walk ratio at 11.63...became the sixth pitcher (7th time) in baseball history to reach 200.0 innings pitched and less than 20 walks, first since Cliff Lee in 2010 (212.1 IP and 18 walks)...Won 16th and final game September 24 vs. Arizona...According to Elias, became the fourth pitcher in major league history to follow a season with four-or-fewer wins with 16-plus wins the following season (minimum 25 starts); Frank Mountain (4-21 in 1882, 26-33 in 1883), Jerry Koosman (3-15 in 1978, 20-13 in 1979) and Matt Keough (2-17 in 1979, 16-13 in 1980); Koosman similar to Hughes: three wins in 1978 for New York-NL then won 20 in 1979 with Minnesota...Finished the year with 16 wins and just 16 walks allowed...according to Elias, just three pitchers in the modern era registered as many or more wins as walks while winning at least 15 games: Christy Mathewson did it twice (25 wins, 21 walks in 1913 and 24 wins, 23 walks in 1914) and Slim Sallee (21 wins, 20 walks in 1919)...Pitched 6.0-plus innings in 26 of 32 starts and 7.0-plus in 19 starts...one of five pitchers in AL with 19 7.0-plus games (David Price - 26, Felix Hernandez - 24, Corey Kluber - 21, Jon Lester - 19)...Twins went 20-12 in his starts...Ranked third best control in AL in Baseball America's annual tools survey, behind David Price and Hisashi Iwakuma...Given the Calvin R. Griffith Award for Most Valuable Twin and the Joseph W. Haynes Award for Twins Pitcher of the Year, both awards voted on by the Twin Cities Chapter of the BBWAA...Restructured and signed a new five-year contract extension December 22, covering 2015-19. Did not appear in official spring training game after experiencing upper back stiffness following the Yankees workout February 18 at Steinbrenner Field in Tampa, and later diagnosed with a bulging disc...threw for the first time on flat ground March 3... Threw simulated game March 18 and faced minor league hitters on March 22 at the Yankees Minor League complex...pitched in an extended spring training game April 1... Placed on 15-day disabled list March 31 (retro March 22) with right upper back thoracic injury; missed four games and was reinstated prior to start April 6 at Detroit... Pitched 8.0 shutout innings May 4 vs. Oakland, allowing four hits, two walks and nine strikeouts...tossed a season-high 118 pitches, his most since June 3, 2012 at Detroit (123 pitches)... Gave up a home run to Jarrod Dyson in the second inning May 10 at Kansas City, snapping a 23.2 homerless inning streak dating back to the sixth inning April 18 vs. Arizona, 0.2 innings shy of career-high of 24.1... Lasted just 0.2 innings pitched May 15 vs. Seattle, the shortest outing of career... Posted a record of 0-7, 5.63 ERA (54.1 IP, 34 ER) in final 13 starts July 8-September 25, marking the longest losing streak of career... Posted a 0.70 groundball/flyball ratio, the second-lowest among all starters in baseball. Went 16-13 with a 4.19 ERA (191.1 IP, 89 ER) in 32 starts with the Yankees...tied Hiroki Kuroda for the most wins on the staff and ranked second in starts to Kuroda...Recorded a decision in 29 of his 32 starts in 2012, tied for most decisions among Major League pitchers (also Gio Gonzalez, Matt Harrison and Clayton Richard)...Allowed 35 HRs, tied with Jason Vargas for the second-most in the Majors behind Ervin Santana (39)...surrendered 22 HRs at home, the most such homers allowed by any Major League pitcher in 2012 and the most in a single season in franchise history...allowed at least 1 HR in 12 of his 14 road starts...Allowed at least 1 HR in each of his first 12 starts of the season, the second-most consecutive games with at least 1 HR allowed in Yankees history, behind Dennis Rasmussen's streak of 14 straight from 7/10-9/29/86...tied Runelvys Hernandez (w/Kansas City in 2006) for the second-longest streak in Major League history of allowing at least 1 HR in consecutive games to begin a season...Went 11-4 with a 3.74 ERA (98.2 IP, 41 ER) in 16 starts at Yankee Stadium, tied for the most home victories among all Major League pitchers...Walked two or fewer batters in 28 of his 32 starts...his 2.16 BB/9.0 IP ratio was the eighth-lowest among American League pitchers...His 11 unearned runs allowed (101 R/90 ER) were more than each of his prior five Major League seasons combined (seven from 2007-11)...After beginning the season 1-4 in April, went 15-9 with a 3.77 ERA over his final 27 starts of the year beginning on 5/6...held opponents to 2 ER or less in 16 of those outings...only the Angels' Jered Weaver (16) had more wins in the AL over the span...Tossed his second career complete game on 6/3 at Detroit, holding the AL champs to 1 ER (Fielder solo HR) on 4 H with 3 BB and 8 K...was the first CG by a Yankee since 8/2/11 at Chicago-AL (also Hughes)...was the only AL pitcher to record a complete-game win against Detroit in 2012...Allowed a career-high 4 HRs in 6/20 loss vs. Atlanta...Held opponents to a .194 average (13-for-67) with runners in scoring position in 15 starts after the All-Star break...marked the sixth-lowest such average in the AL during the span...Had his six-game home winning streak snapped in 9/2 vs. Baltimore...had gone undefeated in his previous seven starts at Yankee Stadium from 6/26-8/28 (6-0, 1.62 ERA, 50.0 IP, 9 ER)...Made his 100th career start in 9/13 win at Boston, becoming the fifth pitcher to reach the plateau with the Yankees after being selected by the team in the amateur draft (which began in 1965): also Stan Bahnsen, Doc Medich, Ron Guidry and Andy Pettitte (credit: Elias)...Struck out four batters in the fourth inning of 9/20 win vs. Toronto (Hechavarria reached on a passed ball), becoming the second pitcher in franchise history to fan four batters in a single inning-also A.J. Burnett on 6/24/11 vs. Colorado (sixth inning)...Made five official Grapefruit League starts against Major League opponents, going 0-1 with a 1.56 ERA (17.1 IP, 3 ER)...owned the lowest spring ERA among all Yankees starters...Made two postseason starts for the Yankees (ALDS Game 4 vs. Baltimore and ALCS Game 3 at Detroit), going 0-1 with a 1.86 ERA (9.2 IP, 7 H, 2 ER, 6 BB, 9 K, 2 HR)...was removed from ALCS Game 3 with a stiff back after 3.0 IP. Went 5-5 with a 5.79 ERA (74.2IP, 48ER) in 17 appearances (14GS) with theYankees... was 5-4 with a 5.90 ERA (71.2IP, 47ER) as a starter... made three reliefappearances, going 0-1 with a 3.00 ERA (3.0IP, 1ER) in just 3.0IP out of the bullpen(1ER)... opponents batted .283 (84-for-297, 9HR); LH .312 (58-for-186, 4HR) and RH.234 (26-for-111, 5HR)... the Yankees went 9-5 in his starts... Allowed 16ER combined over his first three starts of the season, pitching less than5.0 innings in each outing (10.1 combined IP)... Was placed on the 15-day disabled list on 4/15 and transferred to the 60-day D.L.on 5/25 with right shoulder infl ammation... missed 84 games before being returnedfrom rehab and reinstated on 7/6...marked his third career D.L. stint and first since5/1-7/30/08 (stress fracture, right rib cage)... Combined to make three minor league rehab starts with short-season Single-AStaten Island and Double-A Trenton, going 1-0 with a 1.93 ERA... Limited opponents to 2ER or less in eight of his last 11 starts following his D.L. stint,going 5-3 with a 4.55 ERA (61.1IP, 31ER) and a .262 opponents batting average (62-for-237)...prior to going on the DL, went 0-1 with a 13.94 ERA (10.1IP, 16ER) with battershitting .396 (19-for-48).Was staked to a14-2 lead on 7/22 vs.Oakland, but wasremoved after 4.1IP(9H, 7 ER)... accordingto Elias, Hughesbecame the secondstarting pitcher inthe last 31 seasonsto be removed froma game withoutrecording 5.0IP,despite leading by atleast 12 runs... joinedSan Diego's TimS t a u f f e r w h oallowed 7R in just3.2IP on 7/29/07 atHouston, after beingaff orded a 12-0 lead... Was credited with hisfirst career shutoutin his start on 8/2 at Chicago-AL, limiting the White Sox to 3H with no walks and 4K in 6.0 scoreless innings...according to Elias, prior to that start, the last Yankees pitcher to be credited with a shutout despite not pitching9.0 innings was Sam McDowell on 7/20/73, also against the White Sox...McDowell threw only six innings in thesecond game of a doubleheader that was halted by rain at the original Yankee Stadium... Made his first relief appearance of the season on 8/7 at Boston...marked his first relief appearance in nearly ayear, having last appearing out of the bullpen on 10/2/10 at Fenway Park... Held opponents to 11H in their last 57 at-bats (.193 avg.) with runners on base over the season's final two months... Appeared out of the bullpen in his final two outings of the season, 9/26 and 9/28 at Tampa Bay...combined toallow just 1H in 2.2IP with 3BB and 2K... Made two relief appearances in the ALDS vs. Detroit, combining to toss 2.1 scoreless innings (2H, 4K). Went 18-8 with a 4.19 ERA (176.1IP, 82ER) and 146K in 31G/29GS with the Yankees, setting career highs in wins, losses, IP and strikeouts...was tied for fourth in the AL and tied for seventh in the Majors in wins...was tied for fifth in the AL and tied for sixth in the Majors with a .692 winning percentage...lasted at least 5.0IPin 28 of his 29 starts (only exception on 8/25 at Toronto,3.2IP)...opponents batted .244 (162-for-665, 25HR);LH .235 (81-for-345, 17HR) and RH .253 (81-for-320,8HR)...the Yankees went 20-9 in his starts...Became the second Yankees pitcher age 24 or younger in the last 45 years to win at least18 games in a season (also Andy Pettitte in 1996, 21 wins)...was the youngest Yankeesrighthander to win at least 18 games in a season since 23-year old Mel Stottlemyrewon 20 games in 1965...Joined CC Sabathia (21-7) as the first set of Yankees teammates with at least 18 winseach since 2002 (Mike Mussina 18-10 and Davis Wells 19-7)...was the first time a pair of18-game winning Yankees were 30 years old or younger since 1978 (Ron Guidry 25-3and Ed Figueroa 20-9)...Allowed 20HR at home (including each of his first 15 total HR allowed), tying ScottSanderson (20 in 1992) for the most HRs allowed at home in a single season in franchisehistory, according to the Elias Sports Bureau...tied Baltimore's Kevin Millwood and theDodgers' Ted Lilly for most homers allowed at home in the Majors in 2010...accordingto Elias, became the first pitcher to allow his first 15HR at home since Seattle's GaylordPerry in 1982...allowed just 5HR in 70.0 road IP...Did not hit a batter, becoming the first Yankee since Ron Guidry in 1985 to throw atleast 175.0IP in a season and not hit anyone.Received 7.49R/9.0IPof support in hisstarts, the highestmark among qualifying Major League pitchers.Appeared on his first All-Star roster, receiving his selection via the player ballot...according to the Elias Sports Bureau, became the third-youngest pitcher to represent the Yankees in an All-Star Game (1956-Johnny Kucks age 22; and 1965- Mel Stottlemyre age 23)...was charged with the loss in the 3-1 NL victory (0.1IP, 2H, 2ER), becoming the first Yankee to take the loss in the Midsummer Classic since Tommy John in 1980...faced three batters in theseventh inning, retiring Cincinnati'sJoey Votto before allowing back-to-back singles toCincinnati's Scott Rolen and St. Louis' Matt Holliday (who would both come around to score after he left)...Was named the Yankees' fifth starter to open the season by Manager Joe Girardi on 3/25...following springtraining, made two starts in extended spring training while remaining on the Yankees' 25-man active roster...Made his season debut in 4/15 win vs. Los Angeles-AL, recording the victory...was his first start since5/31/09...struck out four of his first seven batters faced...Allowed just 10 combined hits in his first four starts of the season (25.0IP) and 17 combined hits in his first fivestarts (32.0IP) of 2010...according to the Elias Sports Bureau, became the first Major League pitcher since theYankees' David Cone in 1999 to limit his opposition to as few hits with as many IP over his first four and first fivestarts of a season...Carried a no-hitter through 7.0 innings on 4/21 at Oakland, recording the win in a 3-1 Yankees victory (7.1IP, 1H,1ER, 2BB, 10K)...marked his first double-digit strikeout game, recording eight swinging Ks...Retired 25 consecutive RH batters over three starts from 4/27-5/7 - including all 13 faced on 5/2 vs. Chicago-AL...Won each of his first five decisions to start the season, becoming the youngest Yankees starter to begin a season5-0 since Whitey Ford in 1950 (9-0)...according to Elias, with a 1.38 ERA after his rst six starts, became the firstYankee with at least five wins and a sub-1.50 ERA through his first six starts since Bob Turley in 1958 (6-0, 0.83ERA), and the first Major Leaguer since the Angels' Jered Weaver in 2006 (6-0, 1.12 ERA)...Joined Andy Pettitte at 5-0 to start the season, marking just the fourth time in the last 50 years that two Yankeesstarters each won their first five decisions in the same season...also occurred in 2004 (Kevin Brown and OrlandoHernandez), 2003 (Mike Mussina and David Wells) and 1980 (Ron Guidry and Tommy John), according to Elias...Had his 11-start undefeated streak and a nine-game overall winning streak (including starts and relief apps. )snapped in 5/22 loss at Citi Field...tossed a career-high 117 pitches in his first loss since 8/2/09...Faced o against Mike Pelfrey (who entered 9-1) on 6/19 vs. the Mets and recorded his 10th win in a 5-3 Yankeesvictory (7.0IP, 5H, 3ER, 3BB, 4K, 2HR)...according to the Elias Sports Bureau, the game was only the second timein Major League history in which both starting pitchers came into the game with at least nine wins and a winning percentage of .900 or higher (also6/22/1900 at Baker Bowl when Brooklyn'sJoe McGinnity at 12-1 faced the Phillies' BillBernhard also at 12-1)...Had 10-1 record and a 3.17 ERA through6/19, becoming the 12th Yankees pitcherto win at least 10 of his first 11 decisions (allas a starter) to start a season...was the firstsuch Yankee with an ERA at or below 3.17since Jimmy Key in 1994 (10-1, 2.99 ERA)...Took the loss on 6/29 vs. Seattle, snappinga 10-game winning streak at home thatdated back to 5/20/09...had been tiedfor the longest home winning streak inthe Majors with teammate CC Sabathia...Made his 50th career start on 8/14 atKansas City, recording the win (6.0IP,9H, 3ER, 1BB, 0K, 1HR) in an 8-3 Yankeesvictory...became the youngest Yankeeto at the time of his 50th start since AlDowning (at 24 years, 51 days) in 1964,according to the Elias Sports Bureau...Recorded his 16th win of the season on8/31 vs. Oakland...joined CC Sabathia (18-5) to give the Yankees two pitchers eachwith 16 wins prior to September 1 for the first time since 1998 (David Cone-18 andDavid Wells-16)...Was skipped in the rotation from 9/6-14, going nine days without a start...made his first of two relief appearancesof the season on 9/10 at Texas, tossing 1.0 perfect inning of relief (1K) in the Yankees' 6-5, 13-inning loss...alsotossed 1.0 scoreless inning of relief in his nal appearance of the season on 10/2 at Boston in the Game 1 winof a doubleheader...Made three postseason starts, going 1-2 with a 6.32 ERA (15.2IP, 11ER)...threw 7.0 scoreless innings in his firstcareer postseason start in Game 3 of the ALDS on 10/9/10 vs. Minnesota, recording the win in the 6-1 victoryto complete the series sweep...became the third Yankee to toss at least 7.0 scoreless IP in his first careerpostseason start, joining Orlando Hernandez (Gm 4, ALCS 10/10/98 at Cleveland - 7.0IP) and Waite Hoyt (Gm 2,WS 10/6/21 vs. NY Giants - 9.0IP)...became the first Yankee under the age of 25 to win a postseason start sinceDave Righetti on 10/15/81 in Game 3 of the ALCS vs. Oakland...started and took the loss in Game 2 and Game6 of the ALCS at Texas (8.2IP, 11ER)...at 24 years, 114 days, became the youngest Yankee to start either Game 1or 2 of a playo series since Andy Pettitte started Game 2 of the 1996 ALDS at 24 years, 109 days. Was 8-3 with three saves and a 3.03 ERA in 51 appearances (seven starts) with theYankees... opponents batted .217 (68-for-314, 8HR); LH .257 (36-for-140, 3HR), RH .184(32-for-174, 5HR)...In 44 relief appearances, was 5-1 with three saves and a1.40 ERA, leading all qualifying Major League relieversin ERA... struck out 33.7% of his batters faced as areliever (65K, 193BF), the second-highest mark in theMajors... opponents batted .172 (31-for-180, 2HR)... 37of his 44 appearances were scoreless... held opponentshitless in 24 outings... stranded 15-of-16 inheritedrunners (93.8%)... retired 35-of-44 first batters faced(79.5%)... appeared in consecutive games 11 times andthree straight games once (8/2-5)...The Yankees were 35-9 in his relief appearances,including a 27-4 mark following the All-Star break... theYankees won 18 consecutive games Hughes appearedin from 8/2-9/16... allowed just 3H in 33AB with runnersin scoring position as a reliever (credit: Elias SportsBureau)... held opponents hitless in 26 consecutive ABwith RISP from 6/14-9/22...Recorded the American League's lowest post-All-Starbreak ERA (1.64)... averaged 12.55 K/9.0IP after the All-Star break, ranking fourth in the Majors over the span...After stepping into the primary setup role on 7/3, the Yankees went 58-26, including a31-5 mark in games Hughes appeared in... following his first relief appearance on 6/8,the Yankees bullpen went 27-7 with a 3.37 ERA and 37 saves in 105 games, allowing277H and 127ER in 339.2IP (138R, 120BB, 326K, 37HR) while holding opponents to a .219batting average... in 54 games prior to Hughes joining the bullpen, Yankees relieverswere 13-10 with a 4.88 ERA, 14 saves and a .251 opponents batting average (175.1IP,168H, 103R, 95ER, 78BB, 157K, 35HR)...In seven starts, went 3-2 with a 5.45 ERA, allowing 37H and 21ER in 34.2IP (15BB, 31K,6HR)... held his opponents to 3ER or less in five of his seven starts...Was recalled from Triple-A Scranton/Wilkes-Barre on 4/28 and made the start that nightat Detroit, recording the win in an 11-0 Yankees victory... threw 6.0 scoreless inningsand struck out six batters (2H, 2BB), snapping a personal four-game losing streak...Allowed a career-high 8ER on 8H in 1.2IP on 5/9 at Baltimore, recording the loss in a 12-5Orioles victory... marked his shortest career start (2BB, 0K, 1HR)... tossed a scorelessfirst inning then allowed nine of his next 11 batters faced to reach...Struck out a careerhighnine bat ter si n 5 / 2 0 wi n v s .Baltimore, includingeight on swingingthird strikes... his finalstrikeout of the game(Nick Markakis in thefifth) was his 100thcareer K...Went undefeated overhis final four startsfrom 5/15-31 (2-0, 3.91 ERA, 23.0IP, 10ER)... tossed 8.0 shutout innings (3H, 1BB, 6K) and recorded the win in an11-1 Yankees victory on 5/25 at Texas... matched his career high in innings pitched (also 9/24/08 at Toronto)...Made his first career regular season relief appearance in 6/8 win vs. Tampa Bay, tossing a perfect seventh inning(1.0IP, 1K)...Did not allow a run over 16 consecutive outings from 6/14-7/26, tossing 21.0 shutout innings over the stretch(11H, 4BB/1IBB, 25K)... compiled a 23.1-inning scoreless stretch dating back to 6/10 at Boston, marking thelongest single-season scoreless stretch for a Yankees reliever since Mariano Rivera's 30.2-inning scorelessstretch to finish the 1999 regular season (credit: Elias)... was also the fifth-longest by a Yankees pitcher, starteror reliever, in the last 25 seasons (1985-2009), behind Rivera, Lee Gutterman (30.2 in 1989), Steve Farr (27.0 in1991) and Rivera (26.0 in 1996)... had his scoreless streak broken on 7/30 at Chicago-AL, when he was chargedwith 1ER in 2.0IP (2H, 1K)... exited with the score tied 2-2 and two runners on base before Phil Coke allowed the"walk-off" RBI single...Earned his first regular-season win as a reliever on 7/17 vs. Detroit, tossing 2.0 scoreless IP while striking out sixof-nine batters faced (3H, 1BK)... according to the Elias Sports Bureau, became just the third pitcher in Yankeeshistory to record at least 6K in a game with all his outs being recorded via strikeout (also Joe Page, 6K vs. Detroiton 9/13/47 and Goose Gossage, 6K vs. Kansas City on 9/1/79)...Earned his first career save in 7/23 win vs. Oakland, tossing 2.0 perfect innings... according to Elias, becamethe youngest Yankees pitcher to earn a save of at least six outs since 18-year-old Jose Rijo notched a 3.0-inningsave on 4/18/84 at Cleveland...Opened the year with Scranton/WB, going 3-0 with a 1.86 ERA in three starts... allowed only 3BB while strikingout 19 batters 19.1IP... opponents were batting .233 (17-for-73) at the time of his recall...Made nine postseason appearances in 2009, going 0-1 with an 8.53 ERA (6.1IP, 11H, 6ER, 4BB, 7K, 1HR)... pitchedin all three Division Series wins vs. Minnesota. Was 0-4 with a 6.62 ERA in eight starts over two stints with the Yankees (3/31-7/30;9/13-28)... the Yankees were 3-5 in his starts... opponents batted .314 (43-for-137, 3HR);LH .333 (20-for-60, 1HR), RH .299 (23-for-77, 2HR)... hiseight starts were the third-most all time by a Yankeespitcher in a winless season behind Steve Trout (9, 1987)and Ian Kennedy (9, 2008)...Leadoff batters hit at a .412 clip (14-for-34)... accordingto the Elias Sports Bureau, opponents scored in 12 of the17 innings the leadoff batter reached, but only two of20 innings in which he retired the first batter...Opponents own just a .217 career average (34-for-157)their first time through the order off him and a .290 mark(73-for-252) after that...Opened the season as the youngest pitcher in theMajors and the second youngest player in the Majorsbehind Arizona's Justin Upton (20 years old, born8/25/87)... according to the Elias Sports Bureau, wasthe youngest pitcher to begin a season in the Yankeesrotation since Bill Burbach in 1969 (Opening Day age of21 years, 232 days)...Turned 22 on 6/24... made 19 starts with a 5-7 recordand 71 career strikeouts before the age of 22... were themost starts, wins and strikeouts by a Yankees startingpitcher prior to his 22nd birthday since Bill Burbach went 6-8 with 76K in 24 starts priorto turning 22 years old on 8/22/69...Joined fellow first-round selections RHPs Mike Mussina and Ian Kennedy in the Yankeesopening rotation... the Yankees were one of four teams in the Majors to feature at leastthree prior No. 1 picks in their Opening Day starting five... the other teams were theLos Angeles Angels (Jon Garland, Dustin Moseley, Joe Saunders and Jered Weaver);Colorado Rockies (Jeff Francis, Mark Redman and Kip Wells); and Philadelphia Phillies(Adam Eaton, Cole Hamels and Brett Myers)...At 21 years old, joined Yankees pitchers Joba Chamberlain (22) and Ian Kennedy(23) as the first trio-each under age 24-to start a game in the same season for theYankees prior to September callups since 1993 (Sterling Hitchcock, Mark Hutton andSam Militello)... the last Yankees trio to do it prior to 6/4 was Gil Blanco, Al Downingand Mel Stottlemyre in 1965...With his first start of the season on 4/3 vs. Toronto in the Yankees' third game, becamethe youngest Yankees pitcher to start one of the team's first three games since WaiteHoyt (21 years, 217 days) took the mound for the club's second game in 1921...Was 21 years old at the start of the season, and-with Ian Kennedy (age 23)-becamethe fourth pair of pitchers, each under the age of 24, to start for the Yankees within theteam's first four games of a season and the first pair since Dave Righetti (23) and MikeMorgan (22) in 1982 (also Hippo Vaughn-23, Ray Fisher-23 and Ray Caldwell-22 in 1911 and Mel Stottlemyre-23and Al Downing-23in 1965). Credit: EliasSports Bureau...Allowed a careerhigh7R (6 ER) i n2.0IP in 4/13 loss atBoston... became theyounges t Yankeespitcher to start a gameat Fenway Park sinceJose Rijo on 6/11/84 at19 years old (L, 6-9)...A l l owe d 6 E R i n3.2IP in 4/29 loss vs.Detroit... surrenderedthird-inning homer u n s t o C u r t i sGranderson and GarySheffield, snappinga 20.1-inning streakwithout surrenderinga homer to begin theseason...Underwent an MRIon 5/1 that revealeda stress fracture in hisninth right rib andwas placed on the 15-day disabled list thatday... was transferredto the 60-day disabledlist on 7/18 when theYankees signed 1BRichie Sexson... began a rehab assignment on 7/29 with Single-A Charleston, allowing 2H and 1BB in 3.0IP torecord the win (1K)... was returned from rehab, reinstated from the 60-day D.L. and optioned to Charleston on7/30... did not allow a run in two relief appearances with Charleston, going 2-0 (6.2IP, 3H, 2BB, 6K)...Was promoted to Triple-A Scranton/Wilkes-Barre on 8/6 where he went 1-0 with a 5.90 ERA in six starts, allowing34H and 19ER in 29.0IP (9BB, 2HP, 31K, 2HR)... in two postseason starts with Scranton/WB, was 1-0 with a 0.69ERA, allowing 1ER in 13.0IP and striking out 23 batters (8H, 4BB)... recorded the series-clinching win in Game4 of the Governor's Cup Series on 9/12 at Durham, allowing just 1ER in 5.0IP and striking out 12 (4H, 4BB) toestablish a SWB single-game playoff strikeout record... his 23K also set a franchise-postseason record...Was recalled from Scranton/WB prior to 9/13 doubleheader vs. Tampa Bay and joined the team the followingday... made start on 9/17 vs. Chicago (AL), allowing 1ER in 4.0IP (4H, 2BB, 4K)... allowed three combined earnedruns over his final two starts of the season (12.0IP), walking two and striking out 10...Threw a career-high 8.0IP in his final start of the season on 9/24 at Toronto... limited the Blue Jays to 2ER with0BB and 6K... did not record a decision after the Yankees won in 10th on Bobby Abreu's grand slam...Made six official spring appearances, going 3-0 with a 5.82 ERA (21.2IP, 14ER)... began the spring with 6.0 hitlessinnings, retiring 18 of the 20 batters he faced over his first three outings... combined with four other Yankeespitchers to throw a 5.0-inning perfect game vs. the Blue Jays in a rain-shortened contest on 3/4...Pitched for the Peoria Javelinas of the Arizona Fall League following the season, making seven starts and going2-0 with a 3.00 ERA (30.0IP, 10ER). Was 5-3 with a 4.46 ERA in 13GS for the Yankees in 2007...the Yankees were 8-5 in games he started...at 21 years old, was the youngest member of the Yankees rotation in 2007...Opponents batted .235 (64-for-272, 8HR); LH .264 (34-for-129, 6HR), RH .210 (30-for-143, 2HR)...Held opponents to 3ER or less in eight of his 13 Major League starts...In his six road starts, was 4-1 with a 3.11 ERA (37.2IP, 13ER) with opponents batting .148 (19-for-128)....had a 5.91 ERA (35.0IP, 23ER) in seven starts at Yankee Stadium in 2007, going 1-2 with opponents batting .313 (45-for-144)...Opponents batted just .194 (19-for-98) the first time through the order and hit .259 after that (45-for-174)...Had contract purchased from Triple-A Scranton/Wilkes-Barre on 4/25...Made his Major-League debut on 4/26 vs. Toronto, recording the loss in a 6-0 Blue Jays victory...was the youngest Yankees pitcher (20 years, 306 days old) to debut since Jose Rijo on 4/5/84 (18 years, 328 days)...since Rijo's first appearance, the only other Yankees to make their Major League debuts under the age of 21 were Derek Jeter (20 years, 337 days), Dioner Navarro (20 years, 211 days) and Melky Cabrera (20 years, 330 days)...According to the Elias Sports Bureau, Hughes was the youngest Yankee draftee to debut with the Bombers since the amateur draft began in 1965...was the youngest Yankee to debut as a starter since Gene Nelson in 1981 (20 years, 152 days)...became the Yankees' first top draft choice to pitch for the club since Bill Burbach, who was chosen in 1965 (the inaugural year of the First-Year Player Draft)...Became the fifth rookie to start for the Yankees in the team's first 21 games (previously Kei Igawa, Darrell Rasner, Chase Wright and Jeff Karstens)...according to the Elias Sports Bureau, the only other team in the post-war era (since 1946) to start five rookies that early into a season was the 1998 Florida Marlins, who started Andy Larkin, Eric Ludwick, Brian Meadows, Rafael Medina and Jesus Sanchez in their first 20 games...Earned his first Major-League win in his second start on 5/1 at Texas...tossed 6.1 hitless innings (3BB, 6K) in the Yankees' 10-1 victory before being removed in the seventh inning with a strained left hamstring...according to the Elias Sports Bureau, it was the furthest into a game that a Yankees starter had been removed with a no-hitter still in-tact since David Cone on 9/2/96, when he threw 7.0 no-hit innings in his first start after returning from surviving aneurysm surgery (5-0 win at Oakland)...Was placed on the 15-day disabled list with a strained left hamstring from 5/3-8/4 (retroactive to 5/2), missing 85 team games...was transferred from the 15-day disabled list to the 60-day D.L. on 6/9...endured a setback on 5/25 when he suffered a sprained left ankle while doing agility drills in Tampa...made five rehab starts from 7/9-29 with Single-A Tampa, Double-A Trenton and Triple-A Scranton/WB, going 2-0 with a 0.42 ERA (21.2IP, 10H, 2R, 1ER, 8BB, 25K, 0HR)...Participated in the Triple-A All-Star Game on 7/11 at Isotopes Park in Albuquerque, pitching in relief and allowing 2H and 3ER in 0.2IP (1BB, 1K, 1HR) in the 7-5 International League win...was named "International League Pitcher of the Week" for the period from 7/23-29 (2-0. 0.00ERA, 12.2IP, 5H, 4BB, 11K, .122 opp. avg. )...Was returned and reinstated from the 60-day D.L. on 8/4 and started that day vs. Kansas City, recording a no-decision...surrendered his first Major-League home run to David DeJesus in the fifth inning...was the first home run he allowed in either the Majors or Minors in 2007, snapping a streak of 52.2 homerless innings (15.0IP Major Leagues, 37.2IP Minor Leagues)...also had an 0-for-23 stretch vs. opposing hitters (dating to his previous start at Texas) snapped by Joey Gathright's third inning double...according to the Elias Sports Bureau, it was the second-longest streak by a Yankees pitcher this season (Chien-Ming Wang, 0-for-27, 4/29-5/5)...Recorded the win on 8/10 at Cleveland, allowing 4H and 1ER in 6.0IP...at 21 years, 48 days old, combined with RHP Joba Chamberlain (21 years, 322 days old) to become the youngest pair of Yankees pitchers to appear in the same game since 19-year-old Mike Jurewicz and 19-year-old Gil Blanco pitched in relief on 9/7/65 vs. Baltimore (G2)...Threw a season-high 106 pitches 6.0IP on 9/11 at Toronto...snapped a five-start winless stretch with his third victory of the season...Recorded his first career win at Yankee Stadium on 9/17 vs. Baltimore, allowing 2ER in 5.2IP (came in his sixth home start)...Recorded a no-decision on 9/22 vs. Toronto in a 12-11 Yankees victory in 10 innings...was the first of a Yankees franchise-record 10 pitchers used in the game...Tossed a season-high 7.0IP in his final start of the season in 9/27 win at Tampa Bay...Won his final three decisions in 2007 and the Yankees won his final five regular-season starts (9/5-27)...held opponents to 3ER or less in each of those starts...Was 3-0 in September and led Yankees starters with a 2.73 ERA (29.2IP, 9ER) for the month (ninth-best in the American League)...Was 4-1 with a 1.91 ERA in eight starts combined at Tampa, Trenton and Scranton/WB in 2007 (37.2IP, 21H, 9R, 8ER, 12BB, 42K)...allowed two earned runs or fewer in seven of his eight starts...Began the season with Triple-A Scranton/WB, going 2-1 with a 3.94 ERA in 3GS (16.0IP, 11H, 7ER, 4BB, 17K, 0HR) before having contract purchased by the Yankees on 4/25...Appeared in three Spring Training games for the Yankees in 2007, going 0-0 with a 7.71 ERA (4.2IP, 6H, 4R, 4ER, 6BB, 2K)...Entered the 2007 season ranked as the top right-handed pitching prospect throughout all of baseball by Baseball America...also ranked as the Yankees' No. 1 prospect for the second straight year and was rated as having the "Best Curveball" and "Best Control" among all Yankees farmhands. 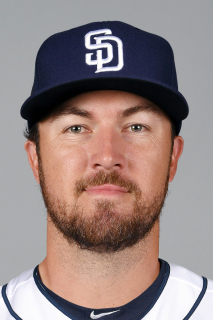 August 15, 2018 San Diego Padres released RHP Phil Hughes. August 10, 2018 San Diego Padres designated RHP Phil Hughes for assignment. July 6, 2018 San Diego Padres activated RHP Phil Hughes from the 10-day disabled list. May 29, 2018 San Diego Padres activated RHP Phil Hughes. May 27, 2018 Minnesota Twins traded RHP Phil Hughes and Future Considerations to San Diego Padres for C Janigson Villalobos. May 22, 2018 Minnesota Twins designated RHP Phil Hughes for assignment. April 22, 2018 Minnesota Twins activated RHP Phil Hughes from the 10-day disabled list. April 5, 2018 Minnesota Twins sent RHP Phil Hughes on a rehab assignment to Fort Myers Miracle. March 29, 2018 Minnesota Twins placed RHP Phil Hughes on the 10-day disabled list. Left oblique strain. November 6, 2017 Minnesota Twins activated RHP Phil Hughes from the 60-day disabled list. July 18, 2017 Minnesota Twins placed RHP Phil Hughes on the 60-day disabled list. Thoracic outlet syndrome. June 28, 2017 Minnesota Twins activated RHP Phil Hughes from the 10-day disabled list. June 21, 2017 Minnesota Twins sent RHP Phil Hughes on a rehab assignment to Rochester Red Wings. May 22, 2017 Minnesota Twins placed RHP Phil Hughes on the 10-day disabled list. Right biceps tendon inflammation. November 1, 2016 Minnesota Twins activated RHP Phil Hughes from the 60-day disabled list. September 15, 2015 Minnesota Twins activated RHP Phil Hughes from the 15-day disabled list. August 13, 2015 Minnesota Twins placed RHP Phil Hughes on the 15-day disabled list retroactive to August 10, 2015. Lower back inflammation. December 5, 2013 Minnesota Twins signed free agent RHP Phil Hughes. April 6, 2013 New York Yankees activated RHP Phil Hughes from the 15-day disabled list. April 3, 2013 New York Yankees sent RHP Phil Hughes on a rehab assignment to Scranton/Wilkes-Barre RailRiders. March 31, 2013 New York Yankees placed RHP Phil Hughes on the 15-day disabled list retroactive to March 22, 2013. Bulging disc in his upper spine. July 6, 2011 New York Yankees activated RHP Phil Hughes from the 60-day disabled list. June 24, 2011 Staten Island Yankees sent RHP Phil Hughes on a rehab assignment to Trenton Thunder. June 19, 2011 Phil Hughes assigned to Staten Island Yankees. May 25, 2011 New York Yankees transferred RHP Phil Hughes from the 15-day disabled list to the 60-day disabled list. April 28, 2009 New York Yankees recalled RHP Phil Hughes from Scranton/Wilkes-Barre Yankees.